The guests at the launch included media, suppliers and business owners, many of whom are members of Grub Club Cambridge. 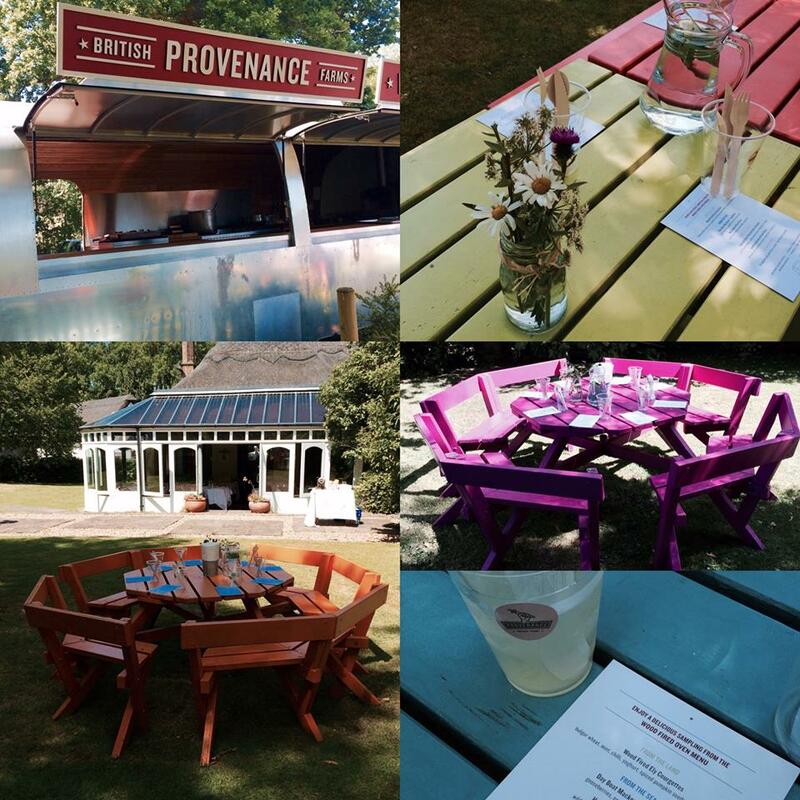 I first heard of Provenance at a Grub Club event I attended last May at Fitzbillies. 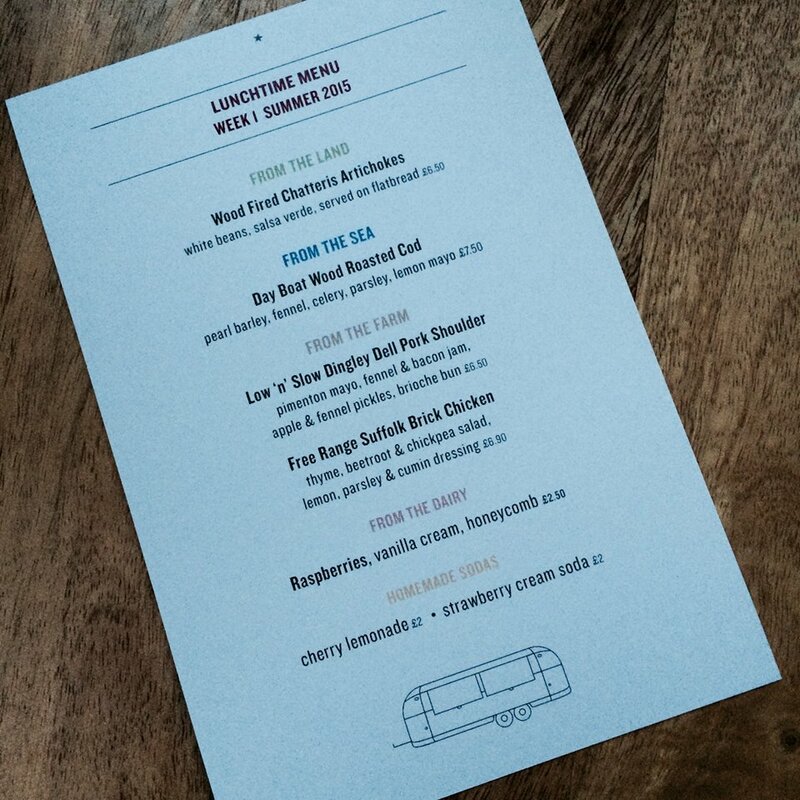 I wrote all about the Producers’ Dinner, including the delicious cereal milk ‘set cream” with strawberry compote and granola that Provenance gave us to take home for breakfast the next day. A great way to leave a lasting impression! Their menu is categorised as From The Land, From The Sea, From The Farm and From The Dairy to emphasise the fact that it’s entirely produce-driven and incorporates fresh market ingredients by local farmers and suppliers. We enjoyed a sampling from their menu so the portion sizes in the photos are smaller than what would normally be served. 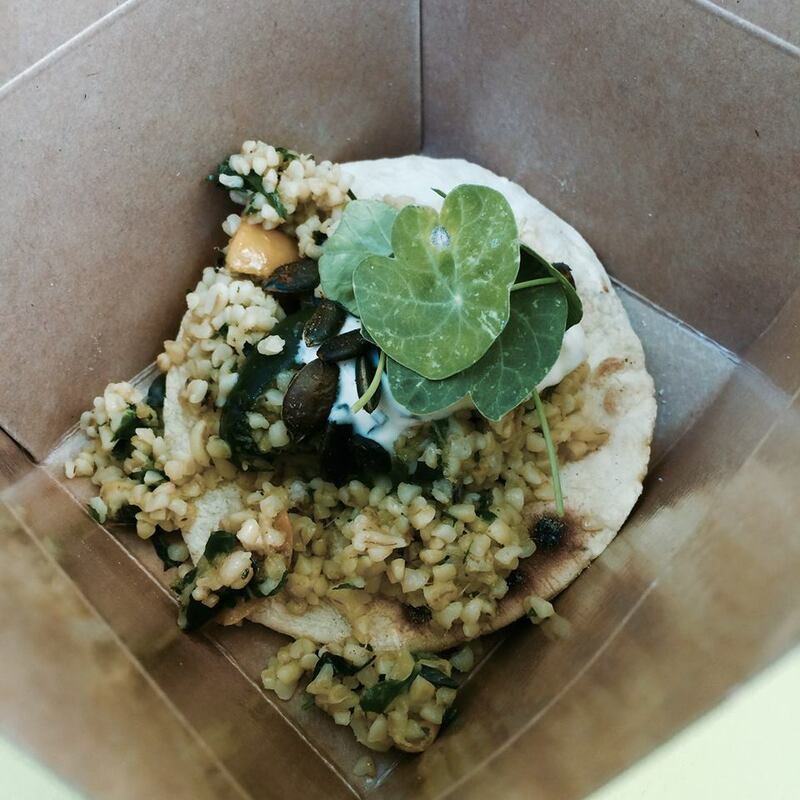 We started off with Wood Fired Ely Courgettes served on flatbread and topped with bulgur wheat, mint, chilli, yoghurt and spiced pumpkin seeds. I liked how the layering of ingredients and textures brought the delicious flavours together. From The Sea dishes featured mackerel and trout. The Day Boat Mackerel ‘Sandwich’, with gooseberries, English mustard and sea aster was one of the most original sandwiches I have seen. The Hay Smoked Sea Trout was delicious and the accompanying wild fennel, radish, cucumber and samphire maximised the vibrant, fresh flavour of the trout. From The Farm menu items included beef and duck. 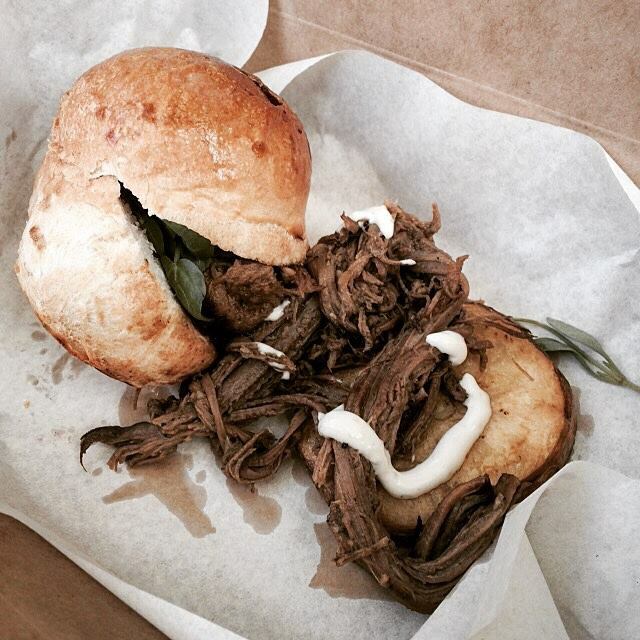 I’m not normally a fan of duck but the Confit Loomswood Farm Duck in a brioche bun really won me over. 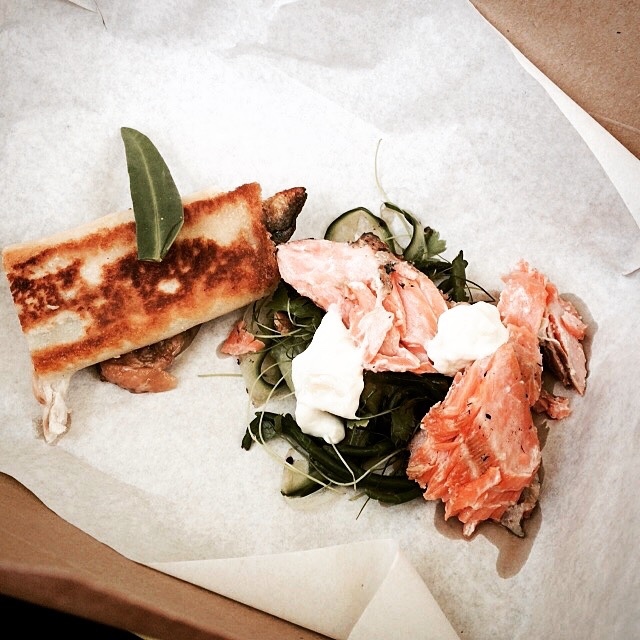 I loved the combination of red onion jam, cashel blue cheese and watercress in the sandwich filling. The ‘Low and Slow’ Hereford Beef Brisket was tender and the slow cooking process infused the meat with flavour. It came with delicious wood fired potatoes, oyster mayonnaise, chickweed and capers. I had a very happy belly from all of the tasty protein-packed dishes so it was a good idea for Provenance to give us our dessert to take home. 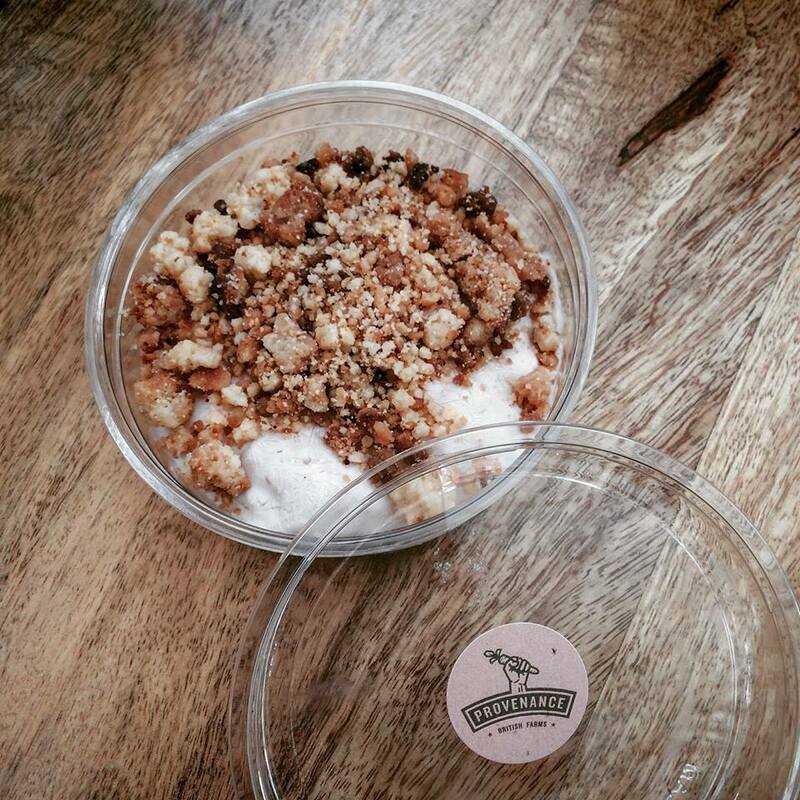 We were given a nice pot of strawberry and vanilla ice cream with shortbread crumble. The ice cream was slightly frozen so by the time I got home it was ready to eat, although I only managed to have a taste as Paulo gobbled it all up. Geez, turn my back for two seconds! Well, I guess that’s a good indicator of an irresistible dessert. I’d like to thank Provenance for their kind invitation. I was so pleased I had the opportunity to try their menu. Keep an eye on their Twitter and Facebook to find out where you can find them next. They’ll be at Burwash Manor on Saturday, 11 July so now’s your chance! 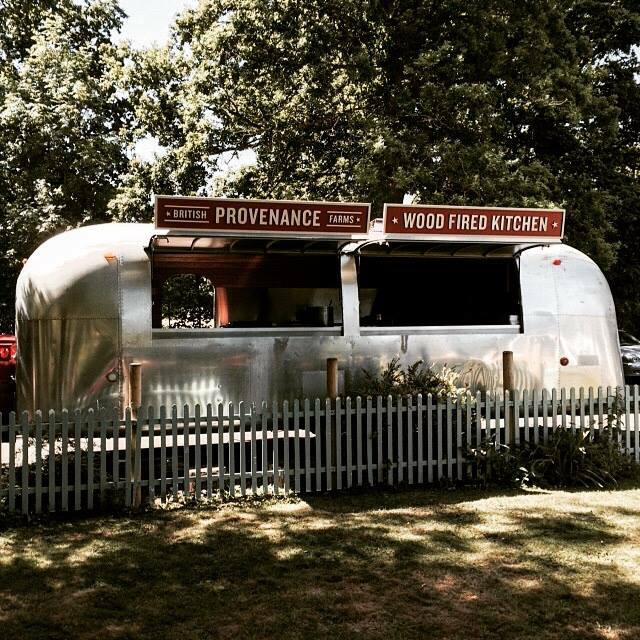 Provenance Kitchen caters for public, private and corporate events. Companies in and around Cambridge can always contact Provenance directly at ask [at] provenancekitchen [dot] com to provide staff with an exciting and healthy lunch. Here’s an example of their changing menu. 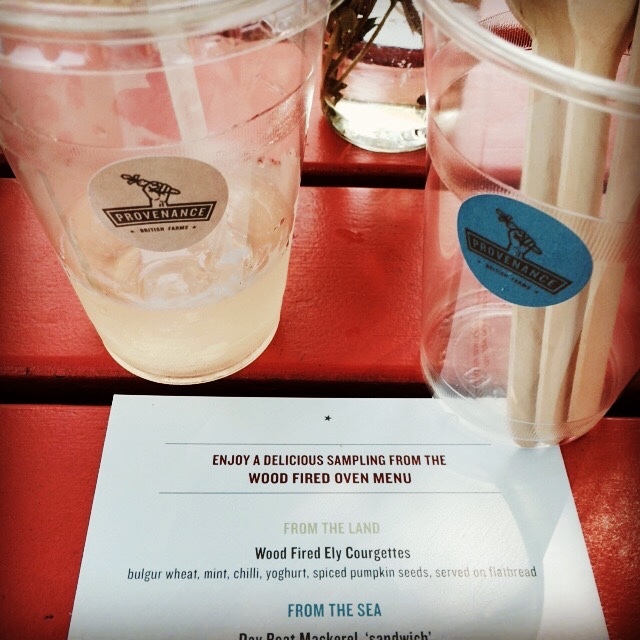 Provenance invited me to attend the launch party but were unaware that my experience would be the basis of a written review. Although the food and drink were complimentary, all views are my own. I did not receive compensation for my review. 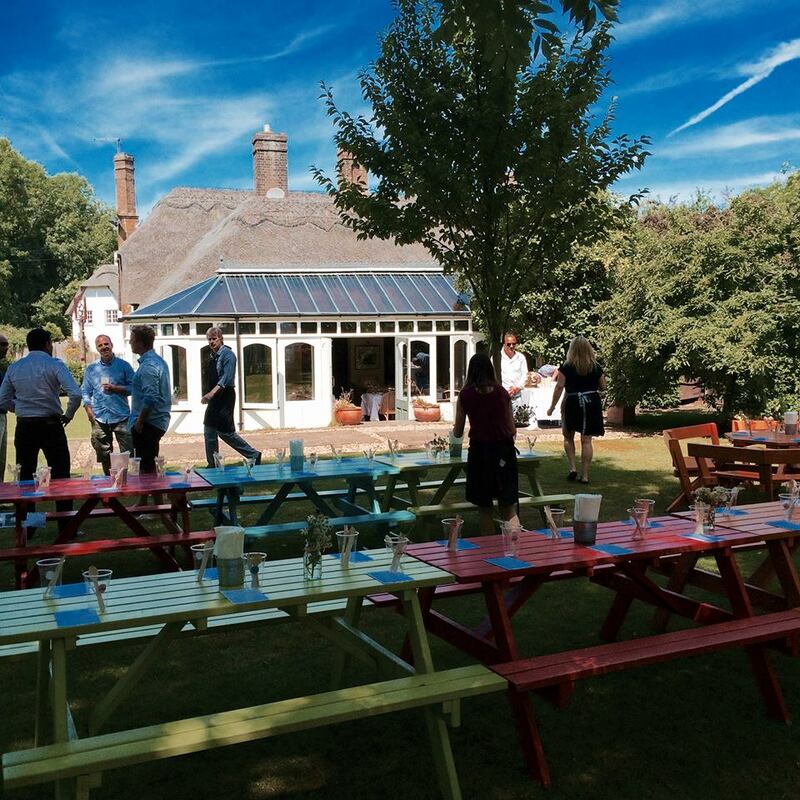 This entry was posted in Food Events and tagged beef brisket, Burwash Manor, Cambridge, courgettes, duck, Grub Club Cambridge, mackerel, Madingley, Provenance Kitchen, smoked sea trout, The Three Horseshoes by One Two Culinary Stew. Bookmark the permalink.